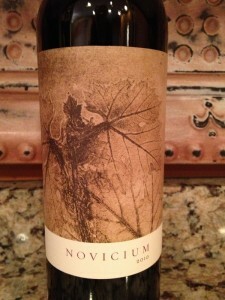 Our first introduction to Continuum’s 2010 Novicium was this past August. We were invited to the Continuum Summer Gathering in the Vineyard and as usual the day felt perfect. The sun was shinning and it was not too hot outside. We were able to see the construction of the new winery and Greg Brady talked briefly about the schedule as well as the future plans to conduct the 2013 harvest on the estate. After the brief gathering we walked up to where the tasting room was to be. We were introduced to the 2010 Novicium and were each provided a glass to try. I was really impressed with this wine. It was drinkable “now” and I could see cellaring it for many years to come as well. We finished the day with a picnic and were offered the opportunity to purchase the newly released 2010 Novicium before anyone else. I did not hesitate and immediately placed my order. The Novicium wine is the second label from Continuum Estate. 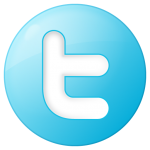 It is produced from grapes that are not selected for use in their first label, Continuum. I received six bottles of the 2010 Novicium the first week of December. I was a bit afraid the cold weather was going to restrict shipping but as my luck had it, the weather cooperated and the wine was sent just fine. We celebrated New Years day with friends viewing 3D movie of The Hobbit. We all enjoyed the movie and could see many similarities to the Lord of the Rings Trilogy. My understanding is The Hobbit will be a trilogy too. 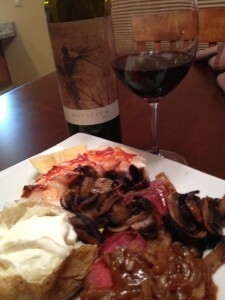 Later, while Chris was ready to begin preparing our Lobster tail and Steak dinner, I decided that I needed to pair this meal with a nice bottle of wine! Chris had been somewhat disappointed with a few recent bottles I had opened, so I felt that I needed to make up for them. I was confident that the 2010 Continuum Novicium would do the trick! And I was right! Chris was very happy with my selection and could not wait to try it again! I was sure the Novicium was drinkable right from the bottle, but I wanted to let it breathe a bit so we could experience its full potential. 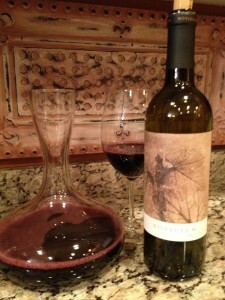 I grabbed by decanter, pulled the cork and poured in the wine. At this point, I really did not have any patience so I grabbed my glass, tasting sheet and proceeded to enjoy the wine and make some notes. The Novicium showed a beautiful bright Garnet Hue. The wine was clear but looked deep in my glass. The Novicium was very aromatic after I gave the glass a couple swirls and it smelled very young and fruity. Some of the aromas I noted were Oak, Vanilla, and Red Fruit. It was excellent and well-balanced! This wine was dry and full-bodied with the perfect acidity. My mouth was watering with every sip! 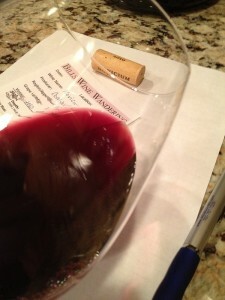 The tannins were not overwhelming and were soft. I could feel the tannins in my mid palate and the rough of my mouth. The 2010 Novicium was very flavorful and tasted rich. I noted Dark Chocolate, Cocoa and a hint of Cherry. The finish was long and pleasurable. We both rated the 2010 Novicium four glasses. The Novicium paired excellent with our dinner. Usually after dinner we will cork the wine for the next day. Not this day! We both sat on the couch enjoying the wine until it was gone!